A bipartisan coalition of senators has introduced a new postal overhaul bill, hoping a special legislative rule will assist the measure to finally become law. The 2018 Postal Service Reform Act (S. 2629) came from a familiar set of faces: Democratic Sens. Tom Carper, Del., Claire McCaskill, Mo., and Heidi Heitkamp, N.D., and Republican Jerry Moran, R-Kansas. A similar group sponsored a postal reform bill in 2015 that failed to advance. This time around, however, the bill appears to be on the fast track with the approval from leadership. The bill's sponsors invoked a rule on Thursday—the same day the bill was introduced—to allow the measure to skip the normal committee process and head straight to the floor for a vote. The timing of such a vote remains unclear. All three other cosponsors stressed the vitality of the Postal Service in rural communities. The bill would require postal retirees electing to receive federal health insurance to enroll in Medicare parts A, B and D as their primary care provider. The bill would phase out the Postal Service’s share of retirees’ Medicare premiums over four years. Postal employees enrolled in the Federal Employees Health Benefits Program would have to select a plan specific to USPS workers. The Medicare integration would largely solve the issue of prefunding future retirees’ health care, as required by a 2006 law. The issue has been a sticking point in previous attempts at postal reform, as the cash-strapped agency has struggled to make the payments and defaulted on them in recent years. Outstanding payments would be wiped clean and USPS would make actuarial payments toward the remaining liabilities over the next 40 years. The measure would make permanent half of the emergency rate increase that expired in 2016 after the postal regulator allowed for a temporary hike to recover losses imposed by the recession. USPS has said reinstating those rates and granting the agency more autonomy in setting its own prices going forward was a necessary step for making the agency financially solvent. The Postal Service’s biggest customers have criticized potential rate hikes, saying they would make it less enticing for companies looking to cut costs to do business with USPS. The bill would freeze further price increases until the Postal Regulatory Commission established a new system for rate setting. PRC recently denied the Postal Service’s request to have full autonomy in establishing its prices, but proposed new caps to allow USPS to increase its prices by more than the previous inflation-based ceiling. The bill would compel the PRC to consider factors such as financial stability, customer experience and delivery timelines in making its determinations. Another long-popular provision would create postal-specific assumptions about the demographics of the USPS workforce to prevent possible overpayment into the agency’s Federal Employees Retirement System account. If any surplus were detected after the establishment of the new formula, it would be gradually refunded to the agency. The measure would put a pause on any service cuts for two years. It would also allow USPS to offer non-postal services to create new lines of revenue and enable the agency to deliver alcohol. If any of this sounds familiar, that is because the bill largely mirrors a measure approved by the House Oversight and Government Reform Committee on a bipartisan basis last year, as well as postal reform legislation introduced in previous sessions of Congress. Those measures have failed to cross the finish line and the current House bill has yet to receive a vote on the floor. The Senate bill was met with approval from key stakeholders in the mailing community. “Now is the time for Congress to act before it must bail out the system with taxpayer dollars or radically shrink it,” the Coalition for a 21st Century Postal Service, a group made up of large-scale mailers such as Amazon, the Association for Postal Commerce and the National Newspaper Association, said in issuing an endorsement. The major postal unions have been hesitant to sign on to postal reform efforts in the past, though they did not overtly try to stop the similar House bill from advancing through committee last year. The National Association of Letter Carriers applauded the Senate bill for changes made to previous reform efforts, such as allowing retirees to avoid switching to Medicare if it would cause extreme financial hardship. 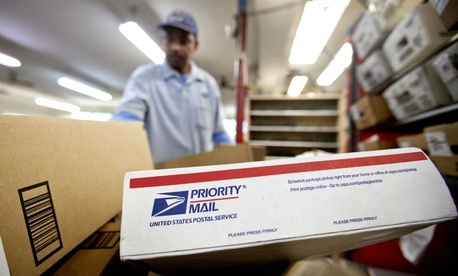 “NALC thanks and commends the bipartisan authors of this proposed legislation for working to strengthen the Postal Service," said Fredric Rolando, the union's president. "America’s letter carriers appreciate the significant improvements contained in the bill over prior reform efforts." USPS Postmaster General Megan Brennan thanked the senators for introducing the legislation and said she was "hopeful" it would lead to action urgently required this year.